They can help you work through complicated paperwork and make sure you’re getting the best possible deal. A mortgage broker is a licensed and regulated financial professional who works as a middleman between you, the buyer, and the bank, the lender. When choosing a mortgage lender it’s always smart to research several different options (at least three) and compare them. A mortgage broker will do this on your behalf, making sure they find a lender who fits your needs and offers the lowest rates. They’ll pull together all the paperwork, including your credit history, income and employment verification, and any other necessary documents and use this to apply for your loan. A mortgage broker works either independently or as a part of a mortgage brokerage firm and will earn money by charging a commission in exchange for their services. Typically they charge 1% of the loan amount, meaning the larger the loan amount, the higher their commission, which is paid to them at closing. One of the biggest advantages of hiring a mortgage broker is that they do all the work for you. So the time and energy you would have spent looking for a lender can be spent elsewhere. Meanwhile, your mortgage broker will apply for loans at several different lenders, find the lowest rates, perform negotiations, and get approval. These are all things you can do yourself, but your mortgage broker will likely be able to perform them faster and better because they do this every day. Because they do this job every day, they also know which lenders to trust and which to stay away from. It’s always wise to do research of your own. Before meeting with a lender consider looking at a mortgage calculator, which will let you compare rates and provide other knowledge that you can then use to assess the credibility of your mortgage broker before hiring them. Mortgage brokers will have a good relationship with a variety of lenders and banks, in fact, there are some lenders that work exclusively with mortgage brokers. Because of these relationships, brokers may be able to get special rates that are lower than what you could get on your own or get certain fees waived for you which could save you hundreds or even thousands of dollars. That being said, mortgage brokers don’t always get you the best deal. Sometimes a lender might offer you the same rates and terms that they would offer a mortgage broker. This is why it’s good to do some of your own research, even if you hire a mortgage broker. Mortgage brokers will also give you a good faith estimate, which provides you with the estimated costs of the mortgage loan. The purpose of a good faith estimate is to help you compare lenders. 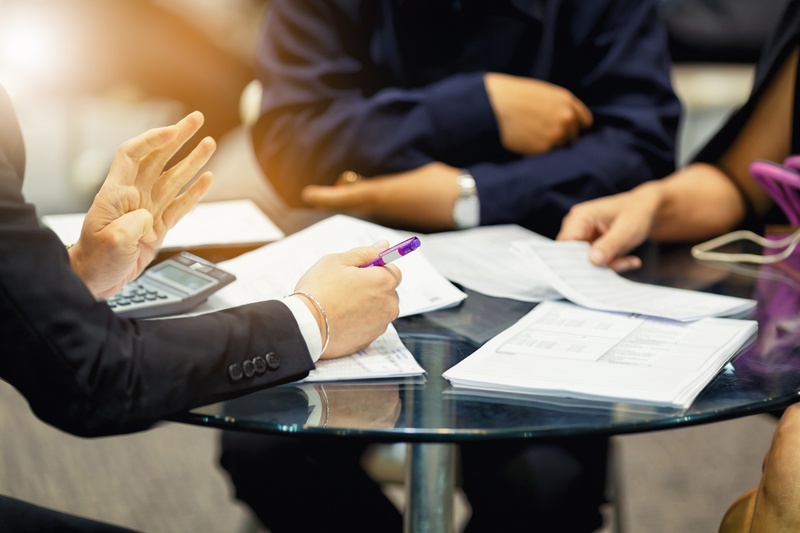 While the broker may believe that this is what the final terms will look like, it’s just an estimate on their part, and sometimes you may end up with additional fees or face paying a higher rate. Most brokers do not guarantee their estimates, so there is some margin for error. Cost is another thing to consider. Depending on the size of your loan, you could end up owing your mortgage broker a lot of money on top of closing costs and taking on homeownership. And because brokers work on a commission, it’s easy for a broker to steer you towards a higher loan, which gets them the highest commission and benefits them. Most brokers won’t do this, but bad brokers do exist, another reason it’s good to double check the information you get from your broker. With all this work you may be asking yourself, is it worth it? Some people say it isn’t. Thanks to modern technology it’s easy to access hundreds of lenders and compare them. This may take some time and work, but it isn’t necessarily something you need to hire a mortgage broker to do. So, what’s the right choice? That’s for you to decide. If you’re interested in more information on getting a mortgage yourself, don’t worry, we’ve got a blog for that, too.